Today I share a very simple activity. It consists of using micro:bit and Scratch to play computationally with a work of art (it can be from a museum or also public art). 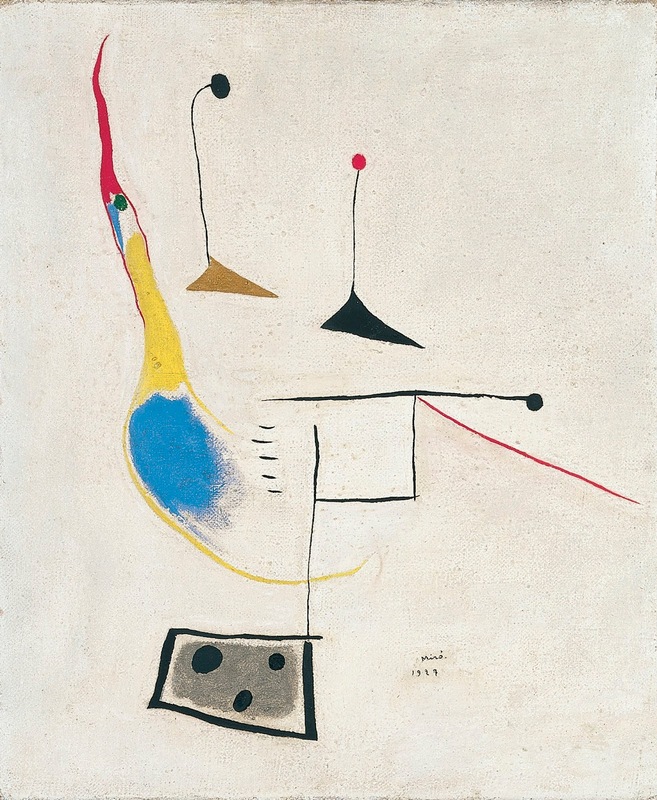 In this particular case we will play with the work "Painting on White Ground" by Joan Miró from the collection of the Museo Thyssen-Bornemisza (Madrid). Painting on White Ground, Joan Miró (1927). As you can see in the video above, the idea is that by moving the micro:bit board we move the painting, and if we shake the board we cause a chaos in the elements of the painting, which in a few seconds is recomposed. It is an activity that can be performed with children from 8 years old. The programming of the effects is simple. The materials we need are: the micro:bit board and its USB cable, a computer or tablet with an Internet connection, a device that can take pictures, and some graphic editing software (although with the Scratch editor can be enough). 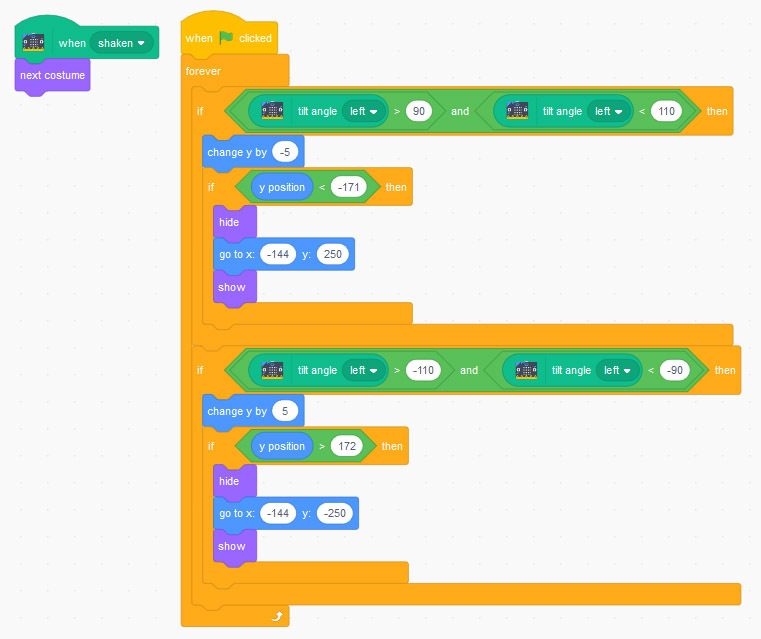 To use micro:bit from Scratch we must install ScratchLink and add the micro:bit extension inside our program (more info here). 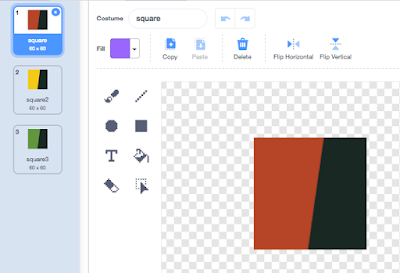 To work with Miró's painting we need a photo of the artwork and the we have to cut out all its elements and add them as sprites within a Scratch project. To cut out characters we can use free and open source software like Gimp. There are also online editors like Pixlr. And if you prefer a straightforward solution, the Scratch paint editor is very simple but still powerful enough to play with pictures. 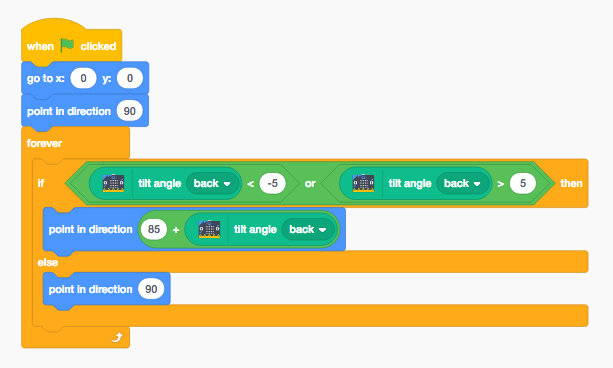 Then you have to program two behaviors: (1) make all the elements rotate together when we rotate the board, and (2) cause chaos in the elements when we shake the board. 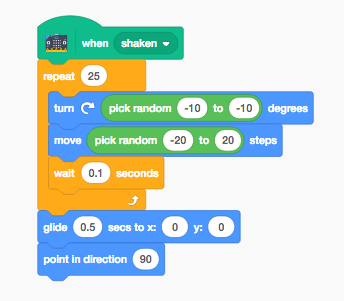 You can see my Scratch project and how it is programmed here. Moving the elements of the painting in a chaotic way. You can try a similar project but with your own creations instead of using a painting by Miró (Kandinsky works would also be great for this kind of projects). 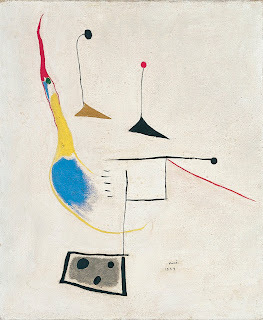 You can also make the elements of Miró's painting dance to the rhythm of some music. Or you can build a small museum room with cardboard and colors, and create interactions between the virtual room and the cardboard room. If you want to be inspired by other projects that can be done with micro:bit you can take a look at these ideas. 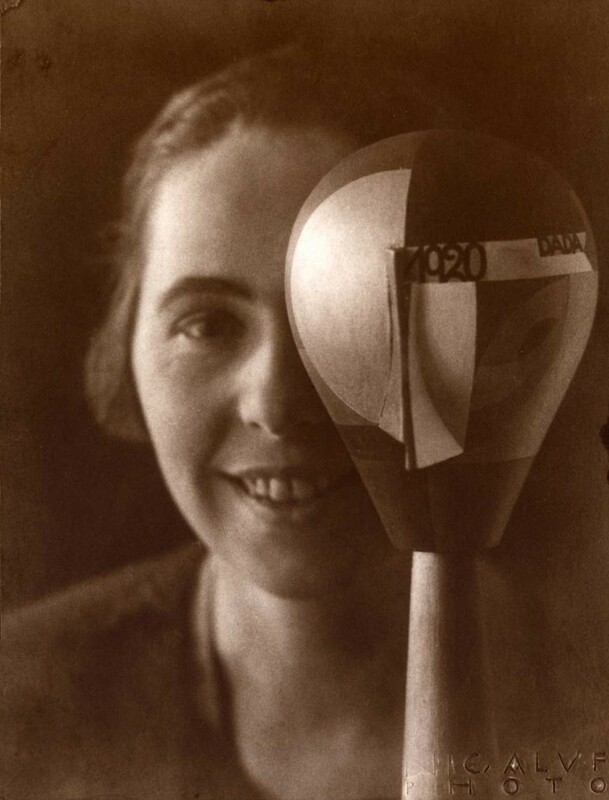 Sophie Taeuber-Arp (1889–1943) was a Swiss artist, painter, sculptor, textile designer, furniture and interior designer, architect and dancer. She is considered one of the most important artists of concrete art and geometric abstraction of the 20th century. Today, on Women's Day, I want to write a post dedicated to this amazing woman, who was a pioneer of the early twentieth century avant-garde. More than two years ago I published in Scratch a project on how to imitate Sophie Taeuber's abstract art. These projects that mimic ways of painting are useful for getting into the artist's mind, understanding what he or she was doing, and designing prototypes and starting points that might lead you to create your own works of art. This particular project can be implemented in many ways, and can be programmed by children, youth or adults. It was inspired by this painting below. 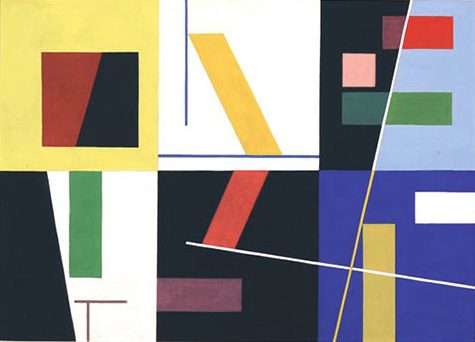 Six espaces distincts, Sophie Taeuber-Arp (1939). 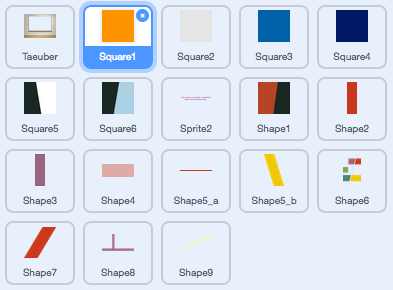 Each of the shapes has its sprite within the Scratch project. And each of the sprites has different costumes, with different colors. The algorithm is as simple as distributing the shapes in the six available spaces, giving them a random direction, and also a random costume. Can you do something similar with another abstract artist? What if the shapes don't move randomly but following a music, or responding to some physical interaction through a sensor?